Incorporating in Spain is very quick and simple ae. A Spanish Sociedad Limitada (SL) is equivalent to a Limited Liability Company in the UK or a GmbH in Austria and Germany in that it is a legal entity which is separate and distinct from the individuals who run it. 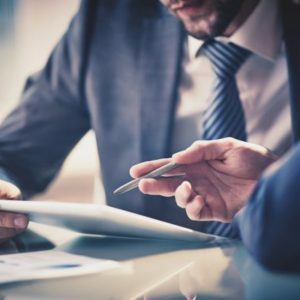 For sole traders and for people in partnerships, the individuals’ personal assets are at risk if there is a claim against the organisation but shareholders in an SL are liable to lose only the value of the share capital to which they subscribe. Incorporating an SL allows access to the lucrative Spanish market and Formacompany is uniquely qualified to help you establish and maintain your Spanish business, we have 20 years’ experience incorporating business in Spain and our Madrid office can facilitate everything from drafting the initial documentation for your company to processing and running the payroll for your employees. You will sign a Power of Attorney with a Notary here. This is a specific notarial protocol which is used for this purpose, and we prefer you to use this document as it is very familiar to the Police. If visiting Spain is not possible you can sign a dual language version of the Power of Attorney, which we draft for you, for use with a notary in your home country. The notary will witness your signature, and send the notarial document and your identity document to be apostilled or legalised for use in Spain. We obtain a company name certificate from the Mercantile Register, confirming that your company name is acceptable and not already registered. This certificate for company name clearance is important as it is given to the notary, and a copy is also given to your bankers and the tax authorities. We submit your company name to the Mercantile Registry and obtain a Company Name Certificate. We then apply for a provisional company tax identification code (código de identificación fiscal/CIF) and register for VAT (IVA). Your CIF will act as your VAT number and allows you to open a bank account in the company’s name and deposit the required amount of capital, which you must do before incorporation can take place. You, or your accountant, can apply for a CIF at the tax office. To apply for your CIF number, you must provide the following details: the name of your company (and the Negative Name Certificate from the Mercantile Registry), the registered address of the company, and identification in the form of your passport or residence permit. The tax office will then issue you with a certificate called an Identificación Fiscal that has your CIF number on it. Once you have a CIF, you can open a bank account in the company’s name and deposit the required amount of capital. The certificate from the tax office states your company name with the addition of the words en constitución, which means that your company is in the process of being incorporated. You will receive another certificate ( Certificado del Desembolso Efectuado) proving that you’ve paid this amount into your business account. The certificate is also required to obtain your permanent CIF just before you start trading. Documents to prove the identity of the founding partners. The notario will also need to see the company bylaws, which should include such details as your corporate name and business purpose, the business address, your capital and the number of shareholders. You will also have to state whether any directors or administrators will be paid and, if so, what the payment arrangements will be. Finally, you must detail your corporate fiscal year, which can be no longer than one calendar year. The fiscal year is from 1st January to 31st December, and it’s simpler if your company’s fiscal year is the same. After the signing, your company bank account can be activated and the authorised signatories registered with the bank. We pay the 1 per cent tax on the share capital at your local regional tax office. Then we register your company with the Mercantile Registry by lodging the notarial deeds and forms showing name clearance, the CIF number and payment of the share capital tax. The final step is to obtain your permanent CIF from the tax office and register your company for the ‘tax on economic activities’ ( Impuesto sobre Actividades Economicas – IAE) in order to be issued with a business licence. For this you will need the certificate showing your provisional CIF, your deed of incorporation and a photocopy of your registration with the Mercantile Registry. All company names must be approved by the Mercantile Register which takes around three days, once approved the name can be reserved for ten days free of charge. Company names must not be identical or deceptively similar to other companies already registerd and the name must end with the suffix Sociedad Limitada or the abbreviation SL. All companies are required to have a registered office where official correspondence is sent this may be a commercial or residential address and it is normally the main place of business of the company. If the company has more than one place of business, these must be stated on tax forms. We initially provide you with a registered office in Madrid, but this is easily changed to a location of your choice if required. Only one director is required for your company there is no restriction on either residency or nationality. Corporate directors are not permitted. The director may also be a company shareholder. Only a single shareholder is necessary, there are no restrictions on the nationality or residency of the shareholder and corporate shareholders are permitted. An initial shareholder register is filed upon incorporation but any subsequent changes to shareholdings does not need to be filed. The share capital is €3,000, a company bank account is required to deposit the €3,000 share capital. Companies are required to file annual financial statements and an annual return. If the company is considered ‘small’ both these may be simplified and there is no requirement to appoint a statutory auditor.